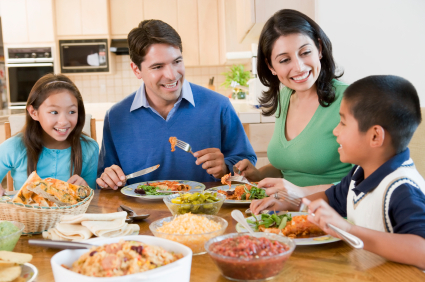 Introduce your children to different ethnic foods so they can become citizens of the world. There are so many ways to introduce your children to the diversity of the world – food is just one of them and can be a lot of fun. I hear too often from my friends that their kids are picky eaters. I say “try it, you’ll like it” and boy is it true. I have to say, I am quite lucky that both of my girls are good eaters. I heard somewhere that kids have to try something 17 times before they may enjoy eating something which is new to them. That seems like a lot, but the point being you have to try something more than once to like it. Here are some local suggestions for different types of ethnic foods to try. I live in the Long Island/New York area, but I am sure you have similar family friendly ethnic restaurants you can try in your area. Extra tip: Before you go out to eat, print out fun facts about the country of origin where you are going to eat to further the educational experience. German – Plattduetsch Restaurant and Biergarten (Franklin Square) – During the summer, there are outdoor picnic tables and music bands on Fridays where the kids can try many different types of wurst (sausages), Wiener Schnitzel sandwiches, homemade German potato salad & potato pancakes, giant hot pretzels, etc. It is a relaxing venue for kids as well as adults and easy on the wallet. Indian (South) – House of Dosas – (Hicksville) – South Indian vegetarian food which is super authentic with Indian “donuts” (actually called vada) – If you have never had a paper masala dosa, this the place to have it. It is hard to describe, but you have to see it – my kids love it! Indian (North) – Akbar – (Garden City) – North Indian food with fabulous buffets which we intend to enjoy on the weekends. Great way to expose kids to Indian food so they can try different things. Even though setting is a bit more formal (table cloths), this restaurant is very child friendly and food is very good. Italian/American – Lucky Duck (Garden City South) – From the name, one would think Chinese, but it has great Italian food and super family friendly. They sometimes have a magician on Thursday nights. Girls love the bread basket and enjoy dipping the bread in olive oil. Farafelle San Remo pasta is the kid’s favorite. If they order a kid’s meal, they will get ice cream where they can create their own sundae with whip cream, sprinkles and hot fudge which is always a lot of fun! Japanese – Benihana – (Manhasset/national locations) – Childhood favorite we used to visit for special occasions… especially birthdays…love it for lunch with the kids because it is easy on the wallet and you can take your time since it less crowded. Entertainment built in with the chef cooking in front of you and the family picture at the end for birthday celebrations always creates a nice memory. PS – We have never been disappointed with the food or the picture (everyone is always smiling ). Mexican – Chipotle – (Mineola/national locations) – This is our favorite choice for “fast food”. Kids enjoy the sides of rice and beans which is less than $3. I usually get the salad with toppings and they have really nice guacamole too. Love it! Turkish – Beyoglu – (Upper East Side/NYC) – I love this place! So many small dishes to try – hummus, taboleuh, spinach, eggplant, etc. Fresh food, nice outdoor seating and reasonable prices. This is a great place to try for lunch/dinner if you are checking out one of the museums on the Upper East Side (Metropolitan Museum of Art, Guggenheim, Whitney) – We are always looking for a reason to come back to this restaurant. “Variety is the spice of life!”, I always like to say. Having your children eat different ethnic foods is just one of the many ways of introducing your children to cultural diversity. Plan a culinary adventure with your family; I am sure it will be a ride the whole family will enjoy! Buon Appetito! My daughter was running late for school the other day and said she did not have time for breakfast. So I told her: ” Well, we will have to make time for breakfast. You have to eat breakfast even if it is on the run.” So I put some dry Cheerios in a bag for her which she could eat on her way to the bus stop. I know it was not ideal, but it was better than nothing. Developing good eating habits as a child is so important. Breakfast is the most important meal of the day and should not be skipped. Unfortunately, many people skip breakfast, eat a regular meal and the biggest meal at the end of the day. There is no reason to wonder why so many people are overweight today. 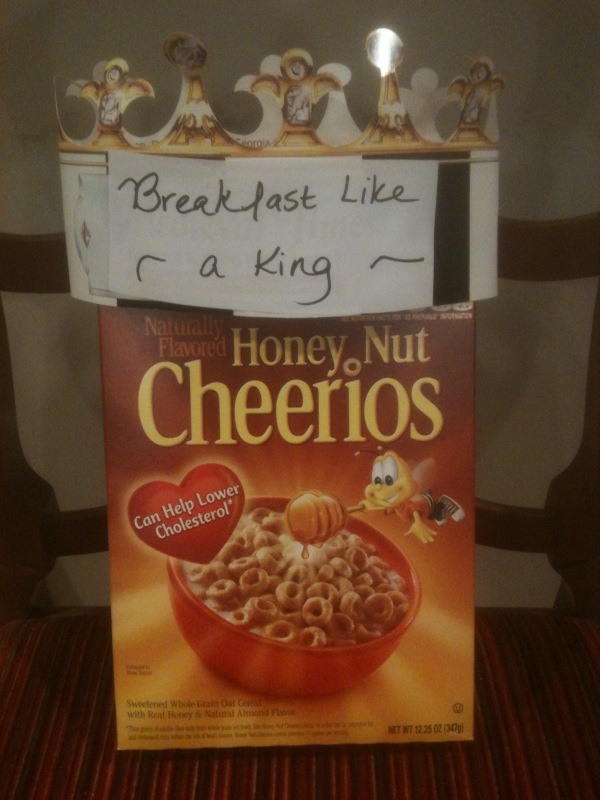 I am not saying it is easy, but it is important to model these good habits: Eat breakfast like a king (more food), lunch like a prince (less food), dinner like a pauper (least amount of food). That quote is an easy way to remember how you should eat throughout the day. So if you or your child is running late in the morning, here are some healthier options for breakfast on the go: banana, Gogurt, dry cereal in a bag and peanut butter on toast. Benihana family birthday celebrations are easy and fun. Ever since I can remember, my family would go to Benihana to celebrate birthdays. For those of you not familiar with Benihana, it is a Japanese restaurant (100+ locations in the US) where everyone sits around a table and a joke telling chef does tricks with knives while preparing your meal in front of you on an iron grill. Sounds like fun – right? 1- Kids can try new foods while enjoying basics like chicken and rice. 2- Built in entertainment for the kids while chef cooks meal in front of you. with purchase of a Kids Meal during the month of their birthday. Eating together as a family is important. 1. Planning: Take some time on Sunday to figure out meals you will be having for the entire week. 2. Incorporate takeout: It’s not always possible to cook every day. I am a big fan of Chipotle and pizza. (Make a big salad to go with the pizza. I always try to have romaine lettuce and tomatoes in the house to make a salad and incorporate vegetables as part of the meal). 3 – Have the kids help you cook: My girls like to help me make chicken meatballs and tacos. To make the tacos healthier, you can use large lettuce leaves instead of using an actual taco shell to wrap up the meat, etc. 4 – You don’t have to be perfect: Try to commit to sitting down together 2-4 times a week and don’t allow TV and electronic gadgets at the dinner table. 5 – Six O’ Clock Scramble: This is my secret weapon. For me the challenge very often is not about actually making dinner, but what to make. A few years ago, I discovered The Six O’Clock Scramble. It is an online menu and recipe service to help parents plan and prepare healthy home-cooked dinners, and is often described by users as “life-changing.” It has been for me 🙂 For $3 to $7 per month (depending upon subscription length), Scramble members get a weekly dinner plan that includes easy recipes, side dishes and a corresponding grocery list plus access to thousands of more recipes online. For more information or to sign up for the Six O’Clock Scramble, click here. • Everyone eats healthier meals. • Kids are less likely to become overweight or obese. • Kids more likely to stay away from cigarettes. • They’re less likely to drink alcohol. • They won’t likely try marijuana. • They’re less likely to use illicit drugs. • Friends won’t likely abuse prescription drugs. • School grades will be better. • You and your kids will talk more. • You’ll be more likely to hear about a serious problem. • Kids will feel like you’re proud of them. • There will be less stress and tension at home. I know this is so cliché, but kids do grow up so quickly. Enjoy this meal time together as a family. Bon appétit! Be aware: Where does your food come from? 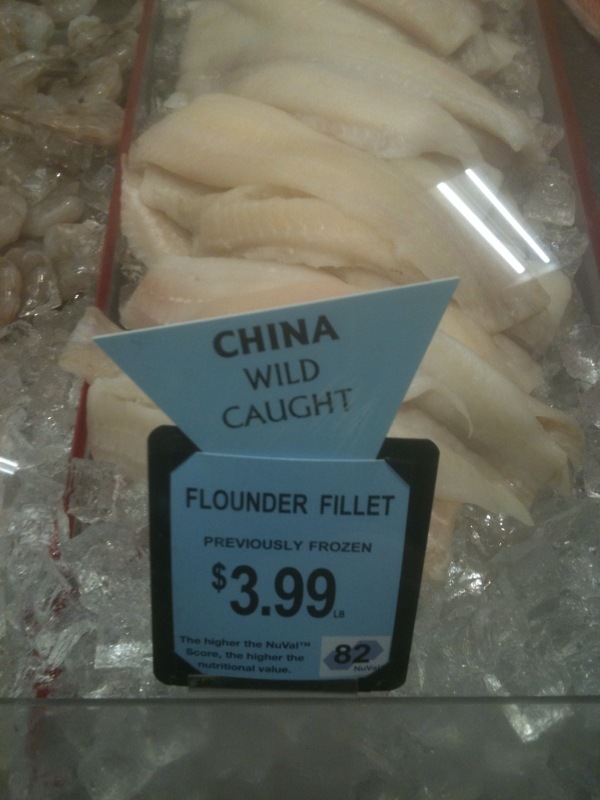 This week I saw flounder on sale for $3.99 in the weekly circular, but in my eyes I was not really getting a good deal. The fish was shipped from China. Really? We can’t get flounder in the good ole USA? What is that about? Did you know local supermarkets carry fish from Vietnam, India and China? Is it really necessary for fish to travel thousands of miles for us to eat? I don’t think so. Inquire and be aware of where your food is coming from and support local food producers. Helpful Tip: On a positive note… If you are looking for help preparing healthy home-cooked dinners, the Six O’Clock Scramble (online menu and recipe service) is awesome! The “What’s for dinner?” question is so much easier to answer now. Big fan of the service…check it out. 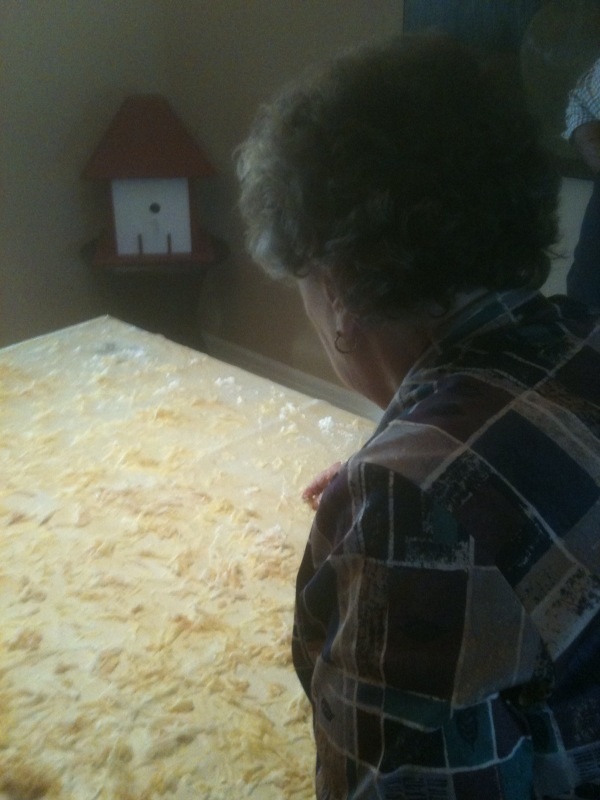 This past weekend, we took some time to learn the art of making apple strudel. I had seen my grandmother make it so many times as a child, but never learned how to make it. My grandmother was a great cook and now that I am older, I regret not having made the time to learn some of these traditional recipes. It was great to watch and learn from my aunt how to make the strudel. The stretching of the dough across a big table takes a lot of patience and love. I now know how to do it, but I will need to make it multiple times to learn how to perfect it. Getting the dough consistency just right and stretching the dough without tearing it is quite challenging. Cooking with your kids can be so much fun. It’s like an arts and craft project for them. Start teaching them when they are young and let them learn from their mistakes. Making food together with your kids creates special memories and is a life long skill they will treasure forever. Make the time now – YOLO (You Only Live Once). ﻿﻿﻿﻿Peanut Butter and Nutella: A new lunch sensation? What to make the kids for lunch? The week usually starts out with cold cuts and ends with a peanut butter or Nutella sandwiches. My neighbor’s son introduced us to Nutella and peanut butter sandwiches. Interesting, I thought… The next day my daughter asks me for this new combo and we have created a new favorite lunch item. You never know where you’ll pick up a new tip. The concept of Nutella and peanut butter is actually not so foreign… I had a flash back to an old 80’s Reeses peanut butter commercial. I am glad to see Nutella is getting so popular in the USA now. It has been around for ages. 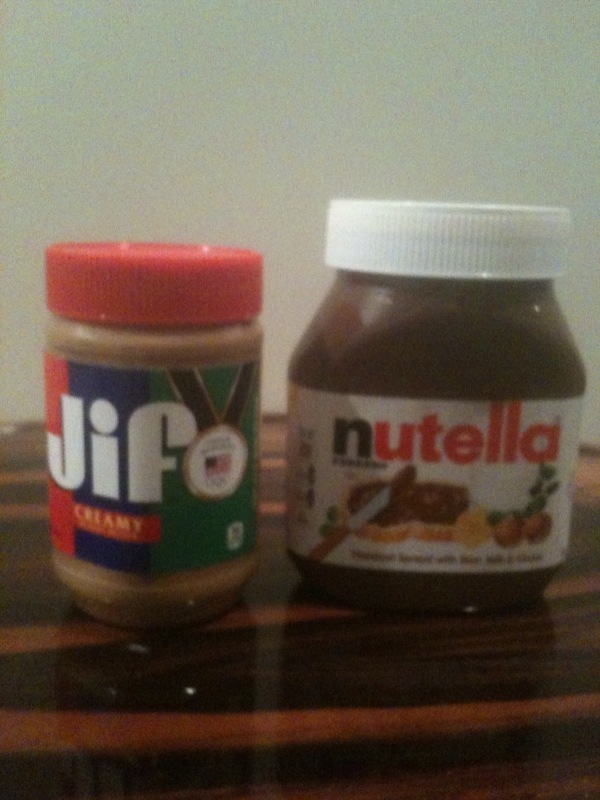 In Europe, Nutella was their version of “peanut butter”. You do see peanut butter in Europe now, but Nutella was always the main staple.. Try out the peanut butter and Nutella combo – what do you think? 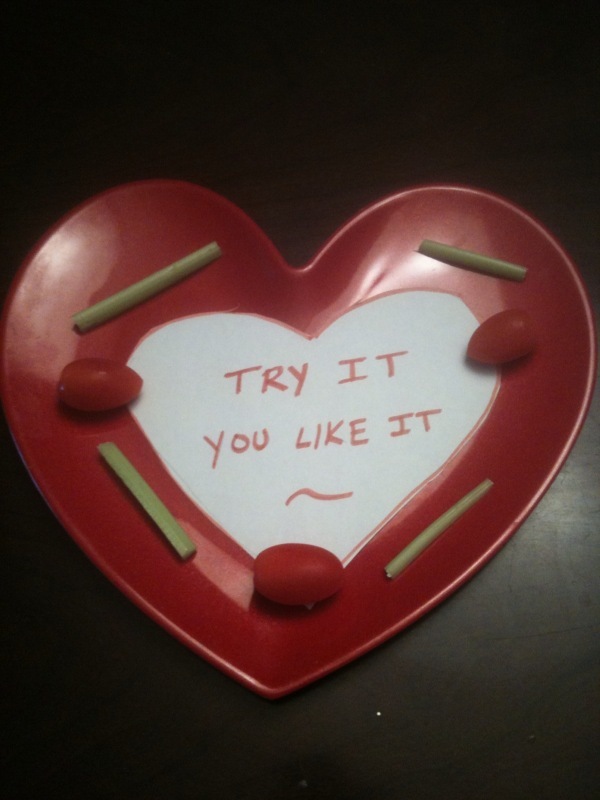 When I was a child, I used to have a t- shirt which said on it “ Try it, you’ll like it.” and boy is it true. I have to say, I am quite lucky that both of my girls are good eaters. I heard somewhere that kids have to try something 17 times before they may enjoy eating something which is new to them. That seems like a lot, but the point being you have to try something more than once to like it. You have to try it before you say you don’t like it. – How will you know? I have heard some people use an incentive system, try 10 new things and get a prize. Whatever it takes. Instill good eating habits in your kids when they are young – fruit, vegetables and don’t force them to finish everything on their plate if they are full. It is all about balance and moderation. I could go on and on, but you get the idea .